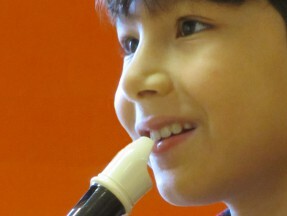 At YMC theory is taught for all grades 1-8, and special emphasis on examination technique is provided within each class. 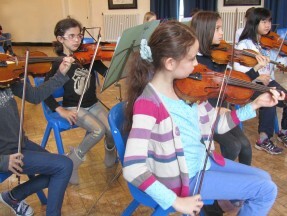 The Youth Music Centre was established in Bigwood House, Hampstead Garden Suburb in 1967 and since that time has become one of the foremost Saturday morning music schools in London. 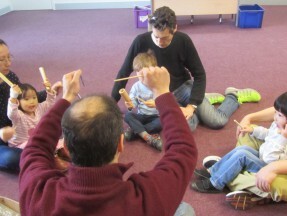 The essential aim of YMC is to welcome all children from the age of two to eighteen years into our community and to help them achieve their highest musical potential within a creative and happy environment where they can come together to enjoy making music. 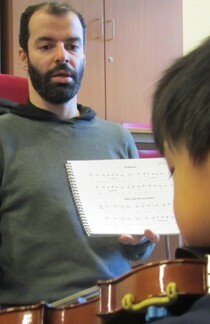 YMC provides classes in musicianship skills for the very youngest children before they embark on instrumental lessons at the age of five or six. 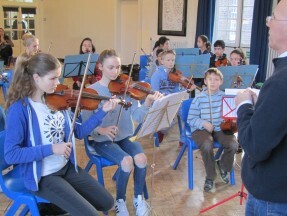 That is followed by a year of group lessons on violin, viola, cello, double bass or recorder after which children are ready to have their first orchestral experience. 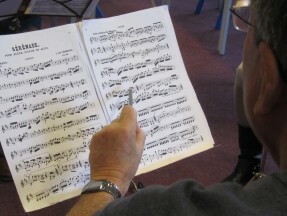 We also provide theory classes up to grade 8 and voice/aural classes. 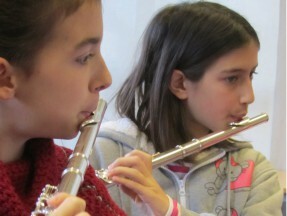 We are proud to say that we have many children who stay with us for their entire music education. 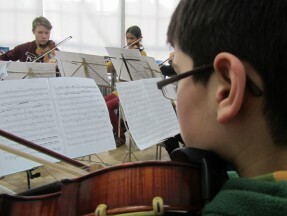 Tatjana Goldberg started learning the violin in Pula, Croatia with the Italian violin teacher Carlo Urbani, continuing her studies with Professor Petar Vrbancic in Zadar. As a young violinist she won several competitions and was sent to Moscow to study solo performance at the Conservatoire P. I. Tchaikovsky. 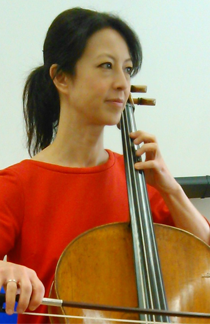 Fiona studied cello with Alexander Baillie and William Pleeth. She made her concerto debut at the age of seventeen and since then has performed most of the major concertos with orchestra. 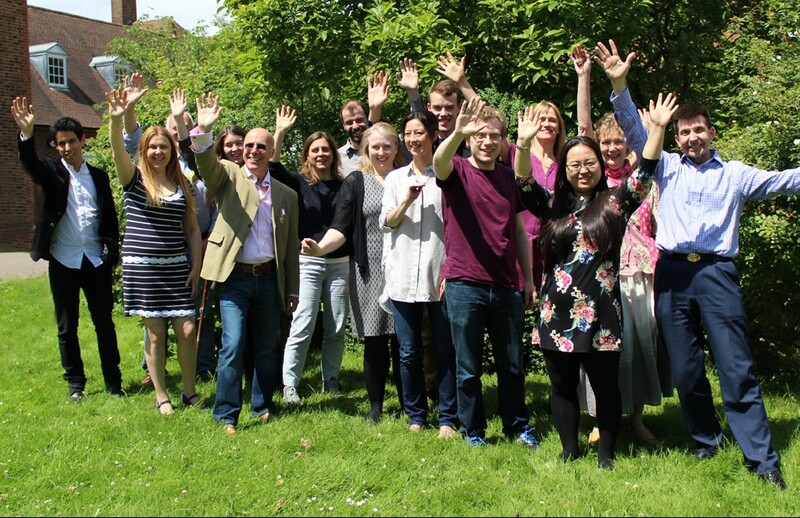 At the age of eighteen Fiona was one of five soloists selected to perform in the Youth Makes Music Rotary International Festival at The Royal Albert Hall. 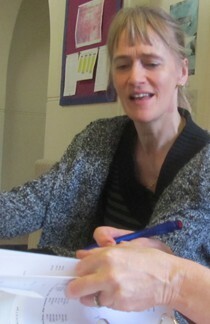 Marina became administrator for the YMC in 2007. 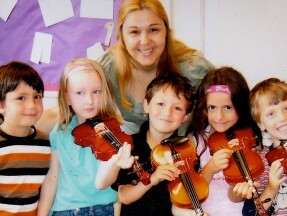 She came to England in 1986 to study violin with the late Prof. Yfrah Neaman. She has performed regularly in Britain and abroad with her Piano Trio, the Feinstein Ensemble and the Baroque Ensemble â€œKontrasteâ€. 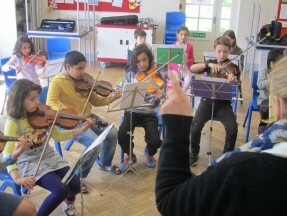 She has given concerts at the South Bank and has made several broadcasts for Classic FM and BBC Radio 3. Gregory Emfietzis was born in Thessaloniki, Greece. 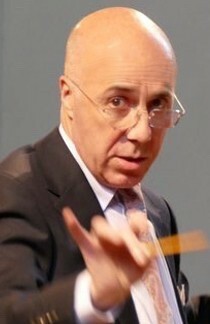 He played the violin and sang, performing in many international festivals, concerts and operas, before and while taking a degree in Music Science and Art at the University of Macedonia. 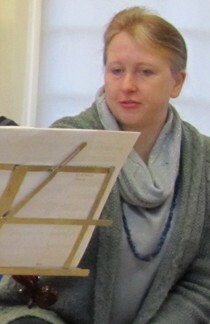 Kristina read Music at King’s College London and graduated in 2015 with a First Class Honours BMus. 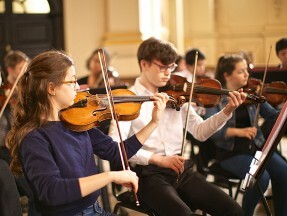 She is continuing her studies at the Royal Academy of Music, where she is on the Masters degree in Historical Performance programme under Pamela Thorby. 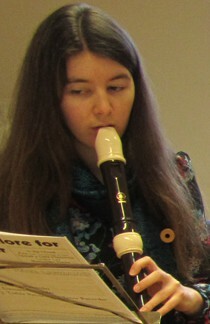 She gained a piano diploma, the DipABRSM, in 2009, and was awarded the FTCL, a Fellowship in recorder performance from Trinity College London, in 2012. 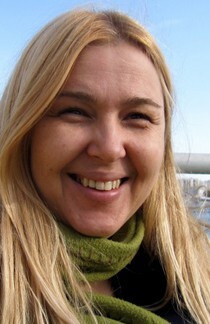 Kristina has six years’ teaching experience, and was recently awarded the Cert PTC teaching diploma from EPTA (UK). She places special importance on ear training in young children. 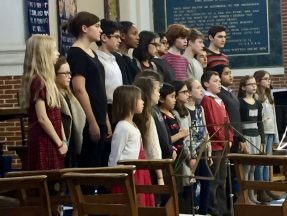 Kristina also teaches piano and recorder at Watford Grammar School for Girls, and accompanies singers and instrumentalists. 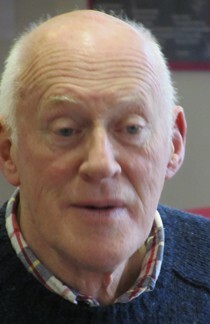 David Evans studied the flute privately with Peter Lloyd before winning a scholarship to study with Geoffrey Gilbert at the Royal Manchester College of Music. 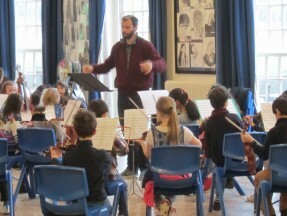 He has been a member of the Icelandic Symphony Orchestra, the Brazilian Symphony Orchestra and in England has played with many national orchestras including the Halle and the BBC Northern Orchestras, Royal and Festival Ballets, the Royal Shakespeare Company and the Liverpool Philharmonic. 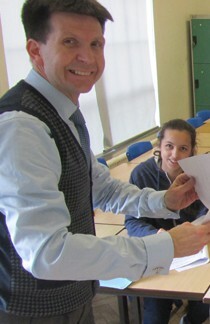 David now freelances and teaches at the City of London School for Girls. 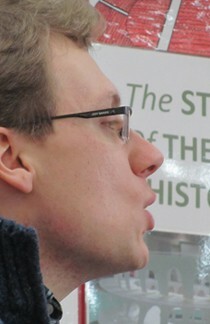 Graham Bennett BMUS LRAM PGCE studied piano, theory and composition at the Yehudi Menuhin School, the Royal Northern College of Music, and the Royal Academy of Music in London where he was awarded the Associated Board Entrance Scholarship. During this time he won many prestigious prizes and performed extensively in the United Kingdom and abroad as a soloist and chamber musician. 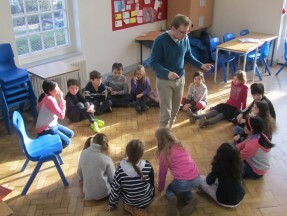 Graham is also the author, composer and publisher of the â€˜Music Master Seriesâ€™, a collection of Educational Music Books specialising in composition, theory and performance.